Hotel Apollon is a 4 star hotel, ideally situated a mere one kilometre from the centre of Kos Town in the area of Lambi and only a short 200 metre walk from the beautiful beach of Nea Alikarnassos, giving our visitors the perfect holiday accommodation by being away from the hustle and bustle of Kos Town but only a couple of minutes ride or a short stroll away from it. 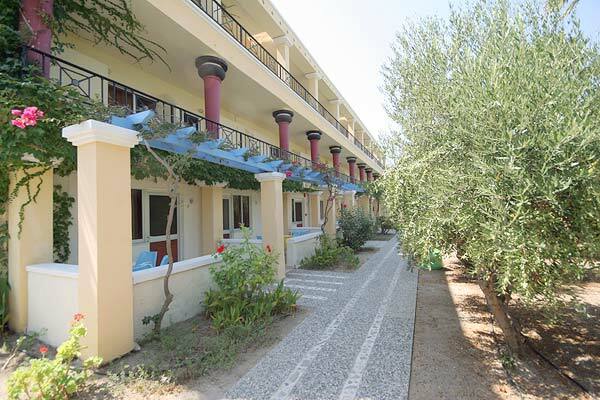 We have given special attention to the hotel surroundings with unique architecture based on the famous Palace of Knossos and nestling the hotel amongst luxurious lush green gardens with many exotic plants as well as a pond with swans and ducks. Our rooms and facilities are kept in flawless condition and our staff are always available and happy to assist you in any way. Our aim is to make your stay as comfortable and as stress free as possible. All you need to do is relax and enjoy your holiday. 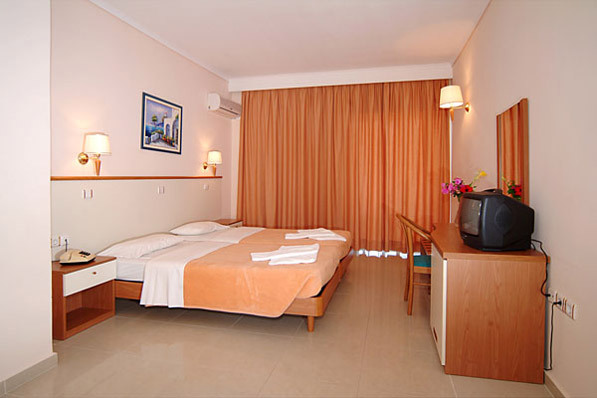 Apollon hotel Rooms: All our very comfortable and spacious rooms, available as singles, doubles and triples, provide a bath / shower, private WC, telephone radio and veranda / balcony. 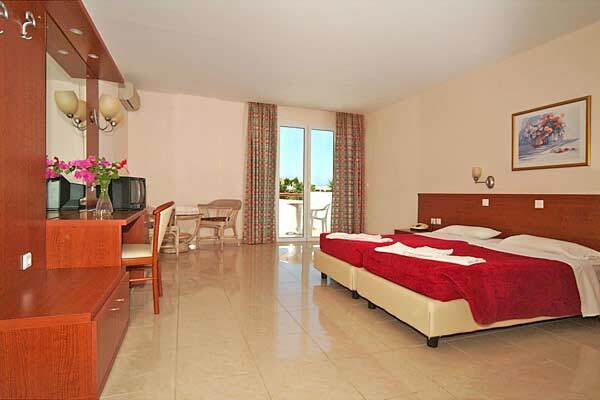 We keep all or rooms in immaculate condition as one would expect from a 4 star quality hotel. Our staff is always at hand to make sure your stay is as pleasant as possible. We firmly believe in delivering the highest possible customer service each and every time, which is why guests at our hotel keep coming back again and again. 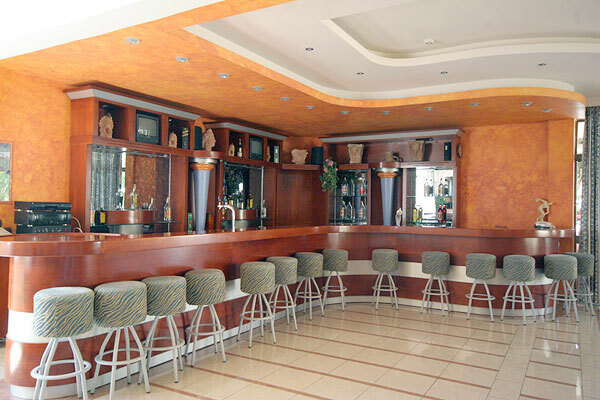 Apollon Hotel Facilities: Our hotel caters for a host of activities and entertainment requirements when on holiday. 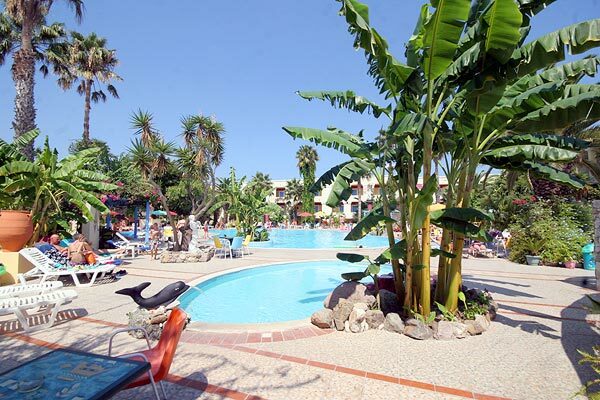 The beach is great but there will be some days when you just want to stay away from the sand and relax in our jacuzzi and isn\'t it great when you know you can just sit and relax and enjoy your drink while the kids are safely playing in the playground we have provided for them. If you feel like exploring the island, we\'ll be happy to arrange car, motorcycle or bike rental for you. Below is a list of a few amenities. Should you have any queries please do not hesitate to contact us. 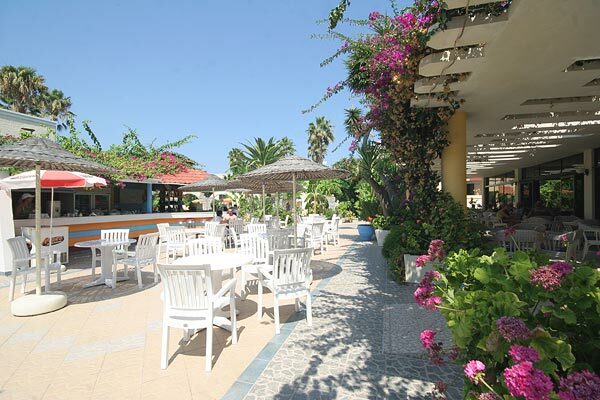 ADSL Internet Access, Billiards, Chess & Electronic Games, Children\'s playground, Exotic pond with Royal Swans & Ducks, Jacuzzi, Large Swimming Pool, Lounge, Lounge Satellite TV, Playing Card Area, Rent a Bicycle, Rent a Car, Rent a Motorbike / Scooter, Restaurant, Snack Bar at Poolside, Tennis court. 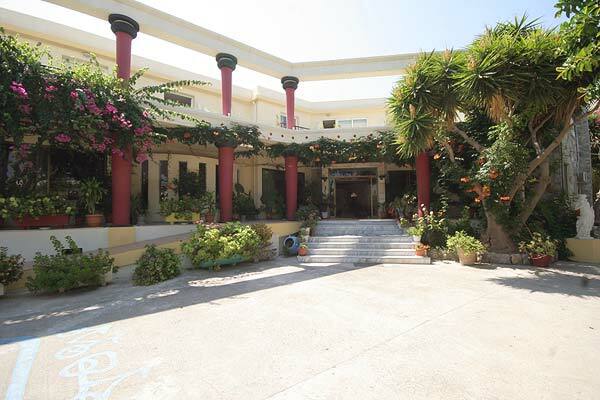 The hotel is close to supermarkets offering all kinds of local and imported goods. There are a number of offices for car, motorbike and scooter, as well as bicycle rentals all across Lambi. The bicycle is actually a favourite means of transport on the island because of the relatively flat landscape. Just outside the hotel entrance there is a bus stop which is frequented by one of the Kos Municipal Buses on its way to Nea Alikarnassos and the Town Centre.